Fresh attacks on Barkin Ladi Local Government Area of Plateau State by herdsmen has seen the death of a resident Pastor of Church of Christ in Nation, COCIN, LCC Abonong, Foron District, Rev. Adamu Wurim, his wife and three children. The man of God was burnt alongside his family. Eight other people lost their lives in the attack, which led to 95 houses being razed. According to The Punch, the Police confirmed the incident, noting that 310 cows were also stolen during the attack, on Tuesday evening. A branch of COCIN church in Abonong village, Foron district, was among the buildings razed during the attacks. 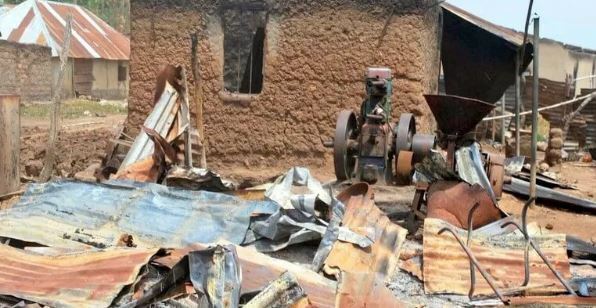 The attacks came less than 24 hours after a two-day peace summit in Jos, organised by the Christian Association of Nigeria (CAN), Northern Region, with the theme, ‘Sustainable Peace and Security in Northern Nigeria as a Panacea for Development’. New Post: What are Facebook’s image restrictions?